Foodie Friday: Southern CA Whole Foods Markets Deals & Giveaway! Attention Southern California Whole Foods Shoppers! 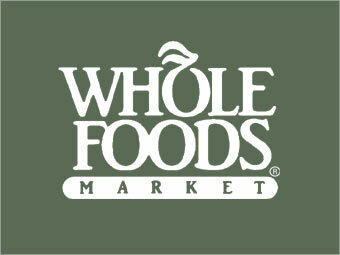 There is a 3-day sale going on this weekend (Dec. 10-12th) across all Whole Foods Markets in Southern California. With the holidays upon us and festivities in full swing, Whole Foods Markets is offering a variety of ways to make it easy to celebrate. Organic 100% Grass-Fed Ground Beef will be $4.99 per pound (regularly $7.99 per pound). Here’s an easy recipe for Beef and Quinoa Meatballs! Everyone brings wine or champagne for the host/hostess. Instead, gift something different and eco-friendly like reusable Sigg Bottles, which will be marked 50% off. One great feature about Whole Foods Markets is how easy is it to order holiday menu items online. I know, because I order my turkey online from Whole Foods every Thanksgiving! If you’re in Southern California and would like to sample some of their prepared holiday dishes before ordering, all SoCal Whole Foods will be offering a tasting event this Sunday (Dec. 12th) from Noon- 3pm. Don’t miss out! As a special treat to my readers to help prepare for Whole Foods holiday grocery shopping, Whole Foods Markets has generously offered one of my readers a $10 gift card. To enter the give-away, just leave a comment below and let me know what you enjoy most about the holidays. For additional entries, you may: subscribe to AYMB, tweet this post, or post on your Facebook page. Please leave an additional comment for each entry. I will select a winner on Tuesday, December 14th via www.random.org. FTC Disclaimer: I was not compensated by Whole Foods Markets for this post or give-away. 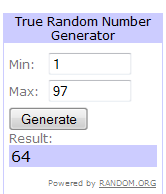 The Winner of the Sharper Image Literati E-Reader is…. Congrats, Rita! I hope you enjoy reading with the Literati as much as I do. Please e-mail your mailing info through my contact page. Thank you to everyone who participated in the Sharper Image Literati e-reader give-away! A few weeks ago, I was approached by Skin MD Natural to test out their Face, Hand & Body Shielding Lotion. I have face creams for day and night, body lotions for day and night, and creams just for my hands and feet. To me, there is no one-lotion-fits-all when it comes to moisturizing. So when I learned that Skin MD Natural is for ALL of your body parts, including your face, I thought it might be worth a shot to check it out. I tried the lotion for exactly 2 weeks straight. The only problem was that I could only use the product at night. The lotion I received to test did not include SPF, which I believe is absolutely essential to wear everyday, rain or shine. Please note that they do carry the lotion with SPF, but I was only able to sample a small packet of it which was not enough to give a valid review. I found the lotion to be somewhat sticky and tacky. It doesn’t absorb right away, which I suppose is why it’s called a “shielding” lotion. One thing I did like was that had a cooling effect on my skin, which might be nice during hot weather. There is also a slight scent of aloe and floral upon application, but I found it very subtle and pleasant. Once the lotion was absorbed, I didn’t smell anything at all. Although I wasn’t too keen on the texture of the lotion, I did notice a difference with my skin in only two weeks. After my evening shower, I would apply the lotion everywhere, including my face. In the mornings, the dry and patchy areas of my skin felt much more smooth. I was even more impressed with how the lotion worked on my face. I have combination oily and dry skin and am prone to breakouts, so I was very concerned about using the product on my face. Surprisingly, my skin seemed less oily and my breakouts have decreased in the past week. I’m going to keep using the product to confirm whether or not that was some hormonal coincidence or the lotion actually works really well for me as night-time face moisturizer. A few things that I really appreciated about Skin MD Natural is that it is paraben-free, hypoallergenic, dermatology tested, fragrance and colorant free, made in the U.S., vegan, gluten-free, 90% natural, and is not tested on animals. Want to check out Skin MD Natural for yourself? Enter my give-away and Skin MD Natural will send you a full-size bottle! Just leave a comment below for one entry. For additional entries, you can tweet or blog about this review. 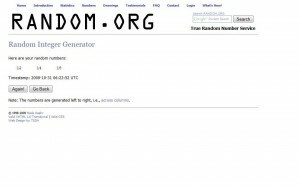 I will use www.random.org number generator to select a winner on March 17, 2010. Disclaimer: I was not monetarily compensated for this review. 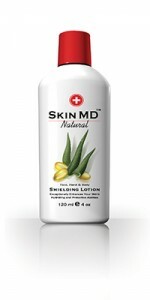 I was given one free full-size bottle of Skin MD Natural Shielding lotion to test and review. The opinions expressed in this review are my own. 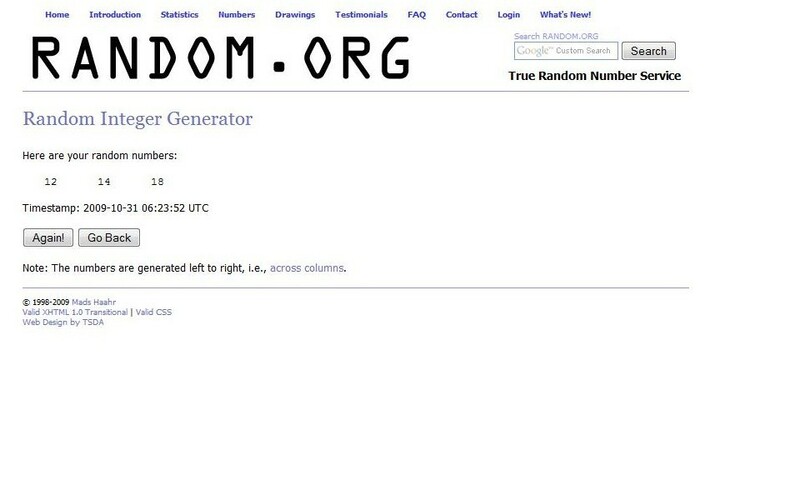 Winners of the Threadless.Com Contest!!! I am pleased to announce the 3 winners of the threadless.com $25 gift certificate contest!!! Random.org selected comments #12, #14, and #18! Congrats to the 3 winners! I will e-mail you your $25 gift certificate code. Congrats again and happy shopping! Triple Give-Away: 3 $25 Gift Certificates for Threadless.Com!!! Have you heard about RetailMeNot? Yes? Well, then. You’re clearly a very smart shopper. No? OK, I don’t want to alarm you, but your blood pressure is about to go through the roof when you add up all the money you may have thrown away over the past few years. RetailMeNot is an incredible coupon website, and they are about to celebrate their 3rd anniversary on Friday, October 30th. In the three years RetailMeNot has been operating, they have offered more than 400,000 coupons for 80,000 retailers, restaurants, and brands. I can’t tell you how often I have used promo codes off their website in order to get great deals. Needless to say, I never shop online without checking out the current promotions at RetailMeNot. In celebration of RetailMeNot’s upcoming anniversary on the 30th, I have been given* THREE $25 gift certificates for www.threadless.com! Have you checked out threadless.com yet? I LOVE their concept and the beautiful, funky, and unique t-shirts they sell. Mamas, have you seen their baby/toddler/kid size t-shirts? Too freakin’ cute for words. I’m a fan. There is a huge selection of t-shirts for all sizes and they make such a cool gift. 1. Post a comment! Tell me about RetailMeNot and your experience with their website and coupons. If you haven’t paid them a visit, do so now and let me know what you think. 2. For an extra entry, subscribe to Ain’t Yo Mama’s Blog and/or tweet, blog, or spread the news of this contest in some other way (Facebook, MySpace, etc…). Post an additional comment if you spread the word. 3. You have until 9pm PST on October 30th to enter this contest. Contest open for U.S. residents only. Sorry, Canadians. 4. I will generate 3 random comment numbers from Random.org. The THREE winners will be announced the morning of October 31st. The winners will receive codes via e-mail for the $25 gift certificate. No mailing address will be needed. Also, don’t worry about spam. I will only use your e-mail address for the purpose of sending the gift certificate code. So, go on now, and check out RetailMeNot and threadless.com…and start commenting and spreading the word! *Disclosure: RetailMeNot has provided me a $25 gift certificate for threadless.com for my own personal use. RetailMeNot did not request an endorsement in exchange for providing me with these coupons. As I have previously written before, I will always disclose if I receive compensation or free product in exchange for an endorsement.